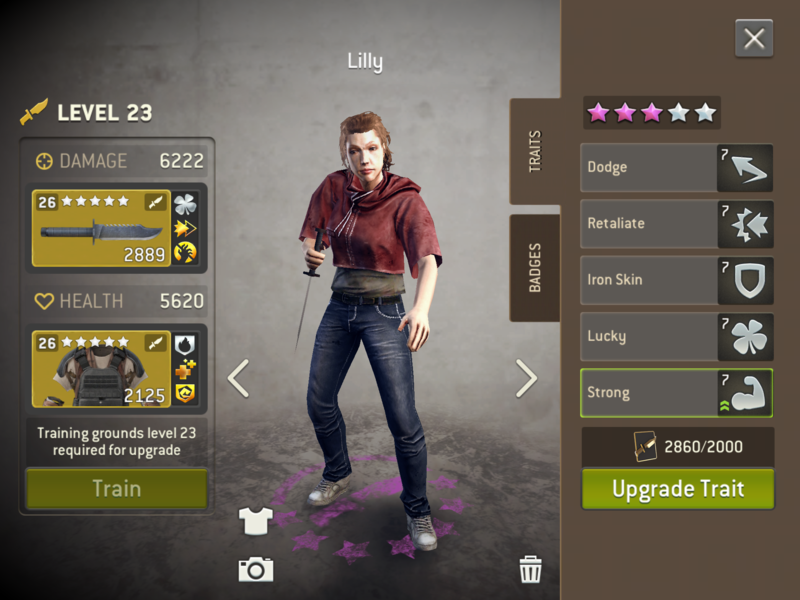 I have a 8 stars main scout (Lilly), and i have started to upgrade another one (Natasha). 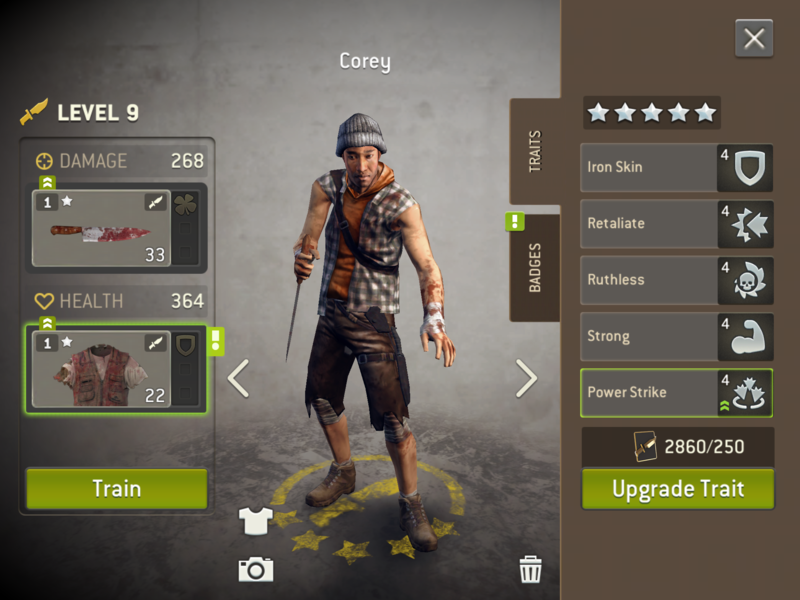 But i have got an interesting damage dealer scout yesterday (Corey). Now i dont know if it is better to put my tokens on Natasha or Corey. The main problem of Corey is the missing Lucky trait. I dont know if it is enough to trash Corey because it would be able to one-shot level 30+ fatties easily. My main scout cant do that. It could be a nice team to put Lilly with 70% damage reduction and Corey as a damage dealer. There is no dodge trait on Corey, but on 30+ round it seems that dodge dont really works, maybe it lower the critical received, but it is difficult to check. Natasha traits seems similar to Lilly. I honestly don't know what advice to give you, but what I will say is - my god if I had scouts half as decent as any of these I'd be very happy. Level both Natasha&Corey for rotation maybe? I'm not a huge Power Strike fan, the whole no movement thing is counter to how I use my Scouts. If Corey had Lucky instead of Power Strike then you'd have me interested. Any new Scout for me today needs to have Lucky-Retaliate-Ruthless. If Dodge and Iron Skin where the final two I'd have the unicorn. I'd be ok with Strong and less so with Power Strike in place of Dodge or Iron Skin (one, not both). Natasha is very similar in traits to Lilly and I prefer Lilly. So the question is do you want a Scout that is trait-wise different from your primary (Lilly)? If you do then I'd invest in Corey. If not I'd hold out until you get Lucky-Retaliate-Ruthess combo with two more desirable traits. I wouldn't upgrade a secondary scout without ruthless. A secondary will likely take ages to get close to where your primary is, and ruthless gives a damage bump that makes it worthwhile to bring a secondary scout rather than another of your A-team. Corey is a powerhouse. My newest scout is Corey but with luck instead of retaliate, and I love her. To utilize the benefits of powerstrike on a scout all you have to do is either use a weapon with interrupt or know where the spawns are (which is always the case), or both. @Cronus Yes i prefer to have two scouts with different traits, it offer more possibilities on the challenge. @sbf You are true, it will takes age to upgrade a new survivor to 8 stars. That's why i am not sure i will loose more tokens to try to make another "perfect" survivor, too much chance to waste a lot of token and no garanty to obtain it soon. If i want to give me a chance to play one day with two 8 stars scout, i need to optimize scout tokens now. I think i will collect 5250 tokens, and if i have not found another interesting scout during that time, i will upgrade Corey to 7 stars. If you have a spear, powerstrike is very helpfull. Stand out of reach, end turn, overwatch hit, then powerstrike. Here's a fact NG will introduce new traits. I would save those tokens. > Here's a fact NG will introduce new traits. I would save those tokens. You say "Here's a fact"
I'm intreaged to know what info you base this "fact" on? Based on admins saying new survivors traits will always be introduced. > Based on admins saying new survivors traits will always be introduced. I must have missed that one. Do you remember the thread? I 'guess' at some stage in the future new traits will likely be introduced but I was assuming by you using the word 'fact' there was something said that I missed.